Oop! Sorry this was a little late, a doctor visit came up and I ran short on time. 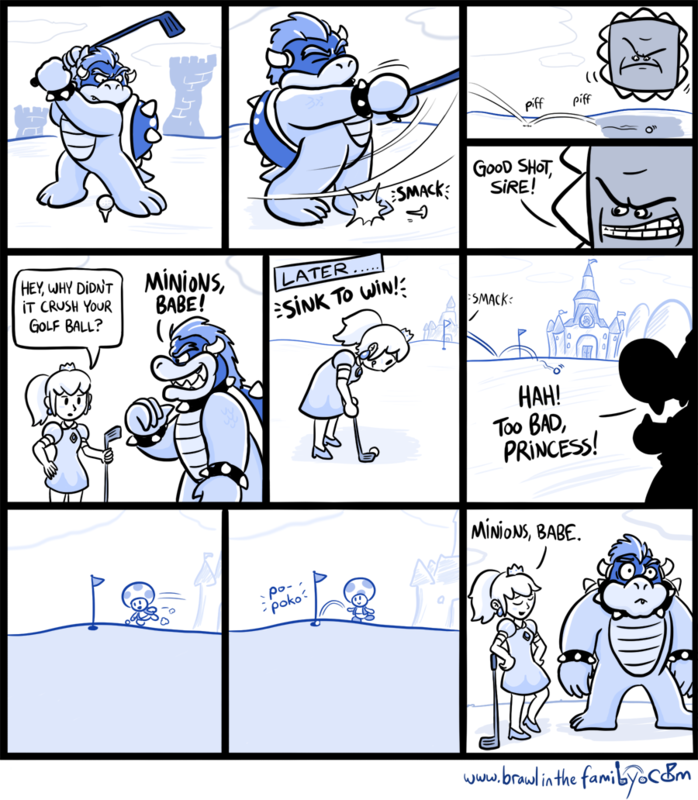 It’s almost time for another Mario Golf game, which means a Mario Golf comic! It’s pretty rare that we see Bowser and Peach interact without Mario involved, but I think the two probably get along okay when one’s not kidnapping the other. Not too much else to say today other than I hope you guys are excited to try out Smash Bros. Wii U this June during E3 time! For those lucky enough to get to the show floor itself, I’ll be there (probably using Mega Man).